This page is really written for the potential new reptile keeper, for those thinking about owning their first reptile pet. Reptiles are becoming one of the most commonly kept pets within the United Kingdom. In fact, it is estimated that 1.1 million households within the UK keep at least one pet reptile. The captive reptile population within the UK is estimated to be 8 million animals !! (EUARK 2012) Unfortunately, a percentage of these animals will not be living in the best of conditions or in receipt of the best standards of care. Sadly, the same can be said for all species of pet animal, some are let down by their owners and suffer as a consequence. In regards to reptiles, here at Grinning Gecko we believe we have a role to play in trying to promote responsible and caring reptile ownership. When we take ownership of any form of animal we also take on a duty of care, along with a legal and a moral responsibility to ensure the animal gets the best possible life, that its kept in the best possible conditions and in the best physical and mental health. In many instances it is not too difficult to meet the needs of our reptilian companions, however if we neglect their needs, if we get things wrong we can condemn them to a life of suffering and misery. There is therefore only one option, we must get the care for our animal’s right. If you are considering owning your first reptile it is important that you ask yourself whether a reptile is actually the best pet for you and can you do the best for your reptile? It would be easy to go into a shop or online, buy an enclosure, a few bits of equipment and then go and source your new pet. The Internet along with a number of shops selling reptiles has made it very easy for people to acquire reptiles. Often sales are carried out without any consideration as to whether the animal is going to a good home. It is easy for a potential new owner to convince them self that they could easily care for a reptile. The reality can be some what different. At Grinning Gecko, if we don’t know you we will ask if you are sure a reptile is a suitable pet for you ? We believe it is a question that every potential new owner should be asked and a question they should ask themselves. We also believe we, and any other reptile sales outlet, have a large role to play in helping people answer this important question. Do you want a pet reptile that you can handle ? An important consideration when deciding to own a reptile is whether you wish to keep a species that you can handle or one simply to watch and admire. Some species of reptile tolerate handling well and some even appear to enjoy interacting with their owners, Bearded Dragons, Leopard and Crested Geckos, Royal Pythons and Corn Snakes are just some of the species that will tolerate handling. Some species are extremely difficult to handle and clearly stress if you attempt to hold them. Most of the Cave Gecko species, Tokay Geckos and many more simply do not tolerate handling well. However if you don’t mind owning an animal that you cant hold they do make stunning and extremely interesting pets. Some species, for example the various ‘day geckos’ are extremely fast and attempts to handle them are likely to result in an escaped animal. Research the species that interest you and you will soon discover which you can and which you cant hold. Our good friend Shaun Dixon with the mighty ‘Albus’. Shaun,despite his youthful looks is a highly experienced Iguana keeper who does amazing rehabilitation work with rescued Iguanas. We do not recommend the keeping of Iguanas unless you are a very experienced keeper with room for a massive enclosure and are prepared to meet the complex care requirements of the species. We have included the photograph to show the size some Lizards can get to. Iguanas are NOT a beginners reptiles. Reptiles come in many shapes and sizes. Obviously it is important to check what size the reptile you are interested in grows to. A Royal Python and a Reticulated Python for example represent a massive size difference as adults. Some of the monitor lizards or iguanids can reach a rather hefty size. Within our sphere of interest, geckos, sizes tend to be more manageable even with the largest species of gecko. 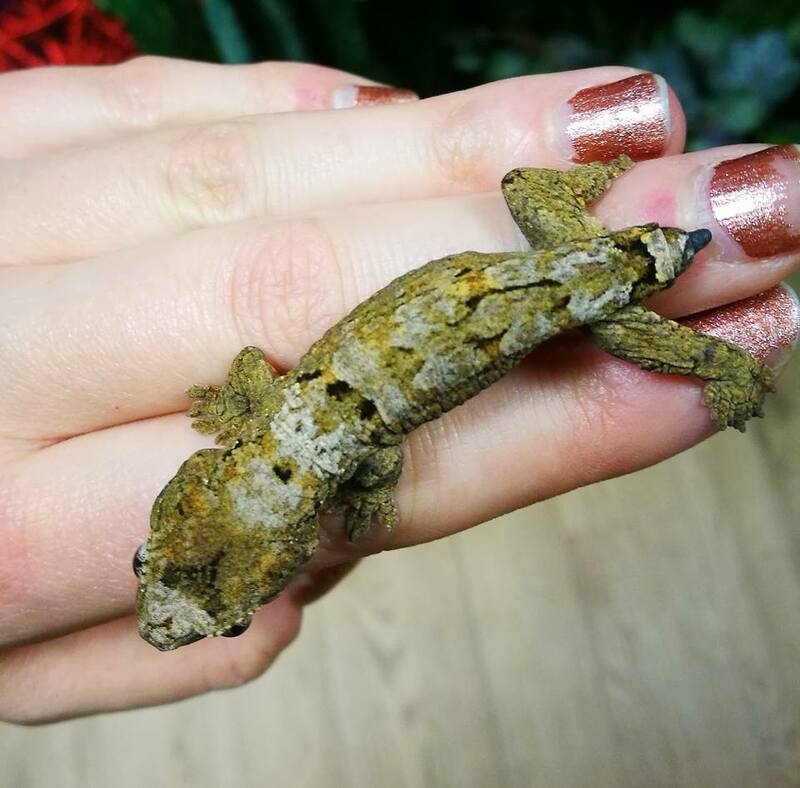 However it is still important to ensure you are aware of the adult size before purchasing your gecko so that you can provide suitably sized accommodation. There is good news for anyone that has very limited space but still wants to own a reptile. Focus is often on how big the various species of reptile can get. 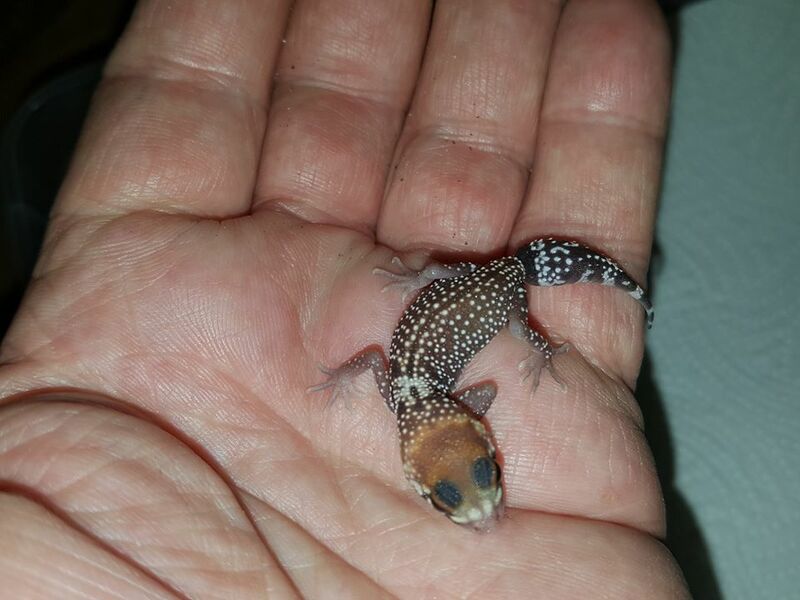 However we, along with a number of fellow keepers, are working with several species of fascinating micro geckos. One of these species, ‘Pygmy Tree Geckos’ when full grown is no bigger than a match stick and can be very comfortably housed in small display enclosures. Big, small or absolutely tiny, there is something in the reptile world to suit everyone. A question of space ? Space is often a limiting factor towards the successful keeping of many species of reptiles. It is all too easy to fall in love with the small hatchling bearded dragon in the reptile shop display vivarium. Initially it will thrive in a small vivarium. However within 12 months it will be fully grown and in need of a 4ft x 2ft x 2ft vivarium. A small Iguana, which really is not a beginners reptile, will grow to a mature adult that would benefit from a room sized enclosure. Size does matter as an enclosure of the wrong size can cause your animal a great deal of stress and result in serious health problems. Again an appropriate level of research should highlight the requirements for the adult reptile of your choice. Time is a factor that must be considered when thinking of owning a reptile. Some reptiles have minimal requirements whilst others need their owner to dedicate a considerable amount of time for their care. Although many species are fairly low maintenance, others are far more demanding. If you have limited time to care for your new reptile please select a low maintenance species. Even the least demanding species of reptile will need a few minutes each day for basic care. If you do not have the freedom of time to care for your reptile properly perhaps you should really give serious consideration as to whether a reptile is a suitable pet for you. Have you thought about commitment ? Taking ownership of a reptile involves commitment. The same can be said of course in regards to ALL forms of pet ownership. However many species of reptile can, if cared for correctly, live very long lives. A Bearded Dragon can achieve an age of 10 years, a Leopard Gecko 20 plus years and some tortoises a hundred years. Reptile ownership should be considered a long term commitment. Unfortunately the number of reptile rescue centres filled to capacity, the sad number of abandoned reptiles, suggests some owners are unable to maintain their commitment to the animal. None of us truly know what lies ahead for us and no one can criticise you if untoward or unexpected life changes effect your ability to remain committed to.your pet reptiles. However before embarking on reptile ownership it would be worth thinking about your future and the implications of it in regards to reptile ownership. Are you hoping to go to University and if you do who will care for your reptile ? Is your job likely to result in you moving to a new home and if so, will you be able to take your animals ? Do you like to take holidays and if you do, who will care for your pet reptile ? It is worth giving your ability to offer a long term commitment to your pet reptile a bit of thought. If you are able to make the commitment, a reptile is a wonderful pet to own. Veterinary care is an important cost to consider if you are thinking of owning a reptile or of course any other form of pet. Have you thought about cost ? Cost is another very relevant factor. In the current financial climate many reptiles are being offered for sale at extremely low (below true value) prices. Housing and equipment can with a bit of shopping around be purchased quite cheaply either new or second hand. A tub of crickets can be purchased for less than £2. This can lead to the false assumption that reptiles are cheap to keep. This is in fact is true of some species. However there are hidden costs that should be taken into consideration. Species that require basking lamps can have a significant impact on electricity consumption and accompanying bills. Ultra Violet light strips often need replacing on a 6 monthly basis and these can be quite costly. With many ‘entry level’ reptiles, the purchase of the animal is the least of the expenses. Accommodation, climate control, lighting and maintenance of care can be much more costly. One cost that is frequently not thought about until times of crisis is the fee for veterinary support. Reptiles are classed as exotics and the price for consultation with a reptile experienced vet and subsequent treatment can be alarmingly high. To give some indication of the expense of veterinary input, at some practices a routine faecal screen for parasites can cost up to £50. That is without the charge for consultation and subsequent treatment. Pet reptiles can be purchased cheaply, in fact it is argued many are sold far too cheaply. However the real expense in reptile ownership is often not the cost of buying the animal but cost of maintaining it so that it can live a long, healthy and happy life. There is no doubt that reptiles are becoming increasingly popular as pets. There is no doubt that, providing they have a responsible caring keeper who can give them the care and conditions they need,they can make fantastic pets. The majority of keepers strive to do the best for their animals. The fact you have read this far is an indication that you have the desire to be a good caring keeper too. Sadly a small minority seek to own a reptile for what really are the wrong reasons. Walking the streets with a Royal Python draped across the shoulders or a large Iguana on a leash,attempting to use a reptile as a status symbol, is not in the animals best interest. Reptiles are not a fashion statement, or the latest trendy thing to own. Reptiles are not disposable pets, something to be purchased and discarded on a whim. Owning reptiles doesn’t really make the keeper cool although its fair to say reptiles are cool. Reptile ownership, no matter what the species kept, is about care, commitment and responsibility. Most keepers have a genuine fascination for these animals, a respect for these animals and a determination to give their animals the best possible care, the best possible conditions and a wonderful long happy life. If those qualities apply to you, if you are satisfied you can answer the above questions with a positive reply,the reptile keeping hobby will welcome you. 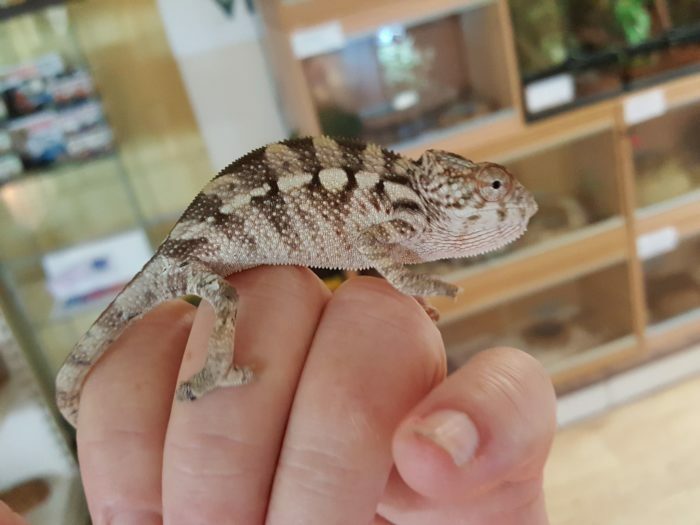 If you truly want to care for a reptile and do the best you can for it, the Grinning Gecko Gang would be delighted to help you in any way we can so that you can become one of the many dedicated keepers in the UK reptile keeping hobby.